Alicante, 5 November: the starting signal was given at 2 pm local time. 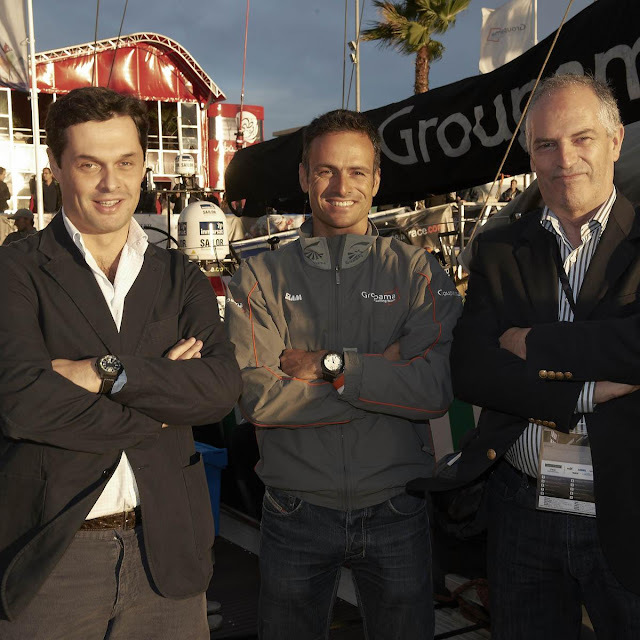 Sporting his JeanRichard Diverscope, Groupama 4 skipper Franck Cammas and his teammates set off on the first leg of the race, heading for Cape Town in South Africa. We first reported on Franck Cammas and his sponsorship by JeanRichard back in June of this year, when they were busy making preparations for the race. The evening before the race, JeanRichard General Manager Massimo Macaluso and Groupama CEO Jean-Luc Baucherel paid a visit to show their support and encouragement for the skipper and his team as they undertake what is undoubtedly a major sporting challenge: over 8 months and 9 legs, the 6 race teams will cover more than 39,270 miles across 4 oceans. 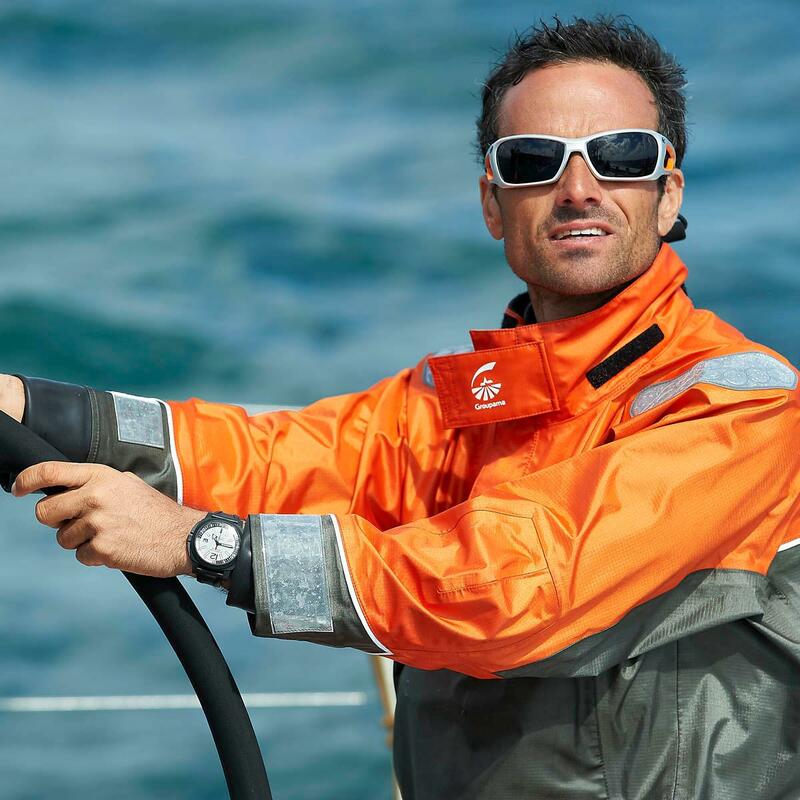 Franck Cammas and his teammates have trained hard in preparation for the event, first on the ocean against the other teams in the Fastnet race last August, and also in the mountains, conquering the summits of the Alps - a surefire way to strengthen team spirit. It takes an unbreakable team spirit to set out in a precarious monohull and race for long periods against the cream of international talent. Fans can follow the race and the position of the teams at www.cammas-groupama.com . JeanRichard, the official timekeeper for Franck Cammas, will display the countdown between each audio and visual conversation between race headquarters and the team. Groupama Sailing Team is the only team to have set up this brand new, unique link for 9 months. The sessions are scheduled for 12:30 on Tuesdays and Thursdays at Groupama’s race HQ, located at 21, Boulevard Malesherbes in the 8th arrondissement of Paris. “The JeanRichard Manufacture is very proud to be associated with this great skipper, a worthy and respectful successor to Eric Tabarly, who set out on this extraordinary human adventure in 1993”. 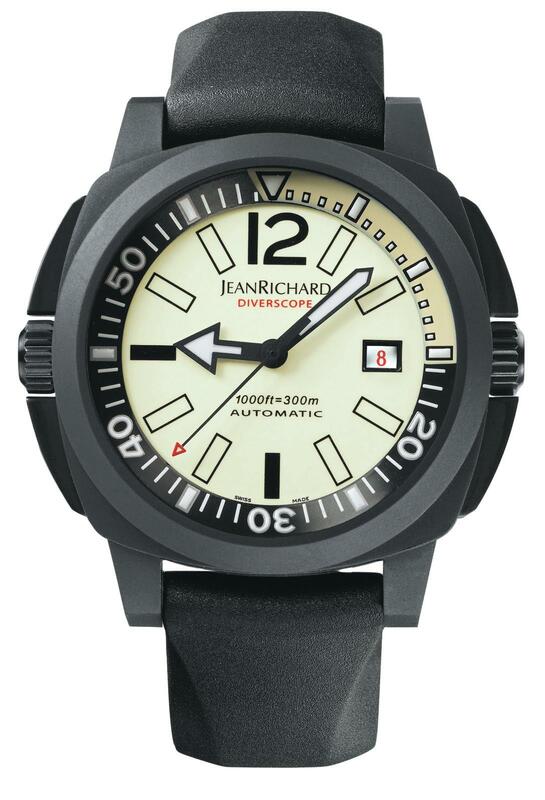 “This 8-month Everest of an offshore race is a challenge I wanted to take on with the support of the JeanRichard Manufacture. See you in Galway for the final watch test results. On November 29th, Groupama 4 took 3rd place in the first leg of the Volvo Ocean Race by arriving at Cape Town behind Team Telefonica in first and Camper in second. But of course there’s still a long way to go.